Here is a free Mother's Day card template, PSD form, there are 6 customizable layers. 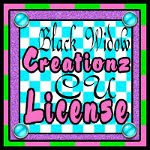 Measured specifically at greeting card size- 4.25 inches by 5.5 inches. This template has very little rules, all I ask is if you download, you do not take credit for it, also do not share the file. Please just direct others here to my blog or this post for credit and to get a copy of the file for themselves. You can use it any way you see fit, not just for Mother's Day :) I really hope it's useful. Click the preview to go to Mediafire for the download. Leave me a comment if you download. Happy Mother's Day!